CKD for CB2!! For spring we did an exclusive black and white floral in cotton linen. Click here to see more! 9:29 pm in Montauk. I’m sitting at the kitchen table with the sliding door open. The only sound outside is quiet. It’s been a while since I’ve sat and took the time to properly write on here. The past 6 months has been non-stop and when I get a moment to relax the last thing I feel like doing is open my computer. I’ve been in Montauk for almost a week now. I’m working on the new Sel Rrose opening this May. 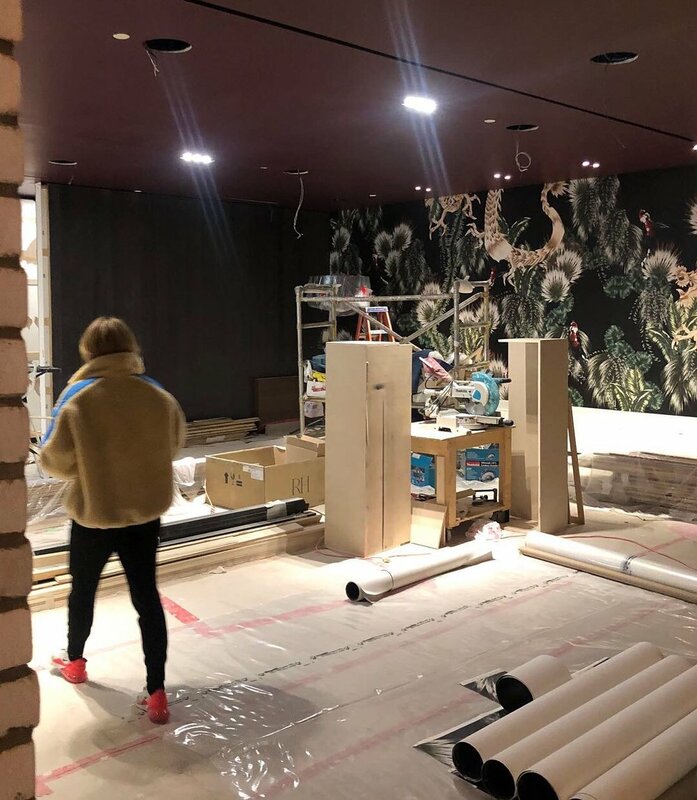 CKD is creating their custom fabric to cover the banquettes and hand painting a mural that will live in one of the many rooms of Sel Rrose Montauk. This space is going to be stunning. Nothing like this exists out here. When I lived in New York I would dream of one day working on a space in Montauk. I’m living my 27 year old self’s dream. Thankful. // CKD FOR PLANTA QUEEN! It’s here! CKD for Planta Queen west. This place turned out to be a vibe. What a weekend! Friday night I spent my night with these wonderful women at Colette Cafe in Holt Renfrew Yorkdale location. 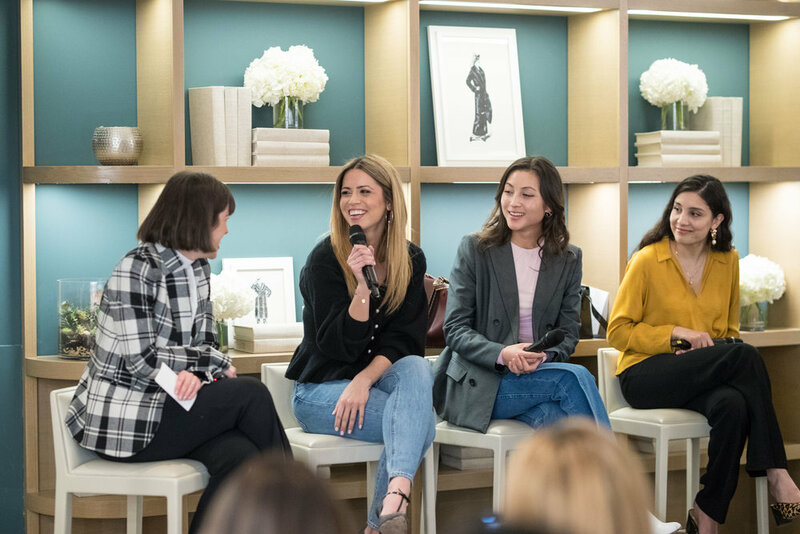 We spoke about fears, intention and values within a business, our best advice ever and some of our goals for 2019. I learned so much from these women. It’s so easy to get caught up in my own little CKD life I forgot how important it is to get out and meet people. Thank you for having me Colette!